Kazakhstan became the very last country to declare independence from the Soviet Union after its dissolution. This event took place on December 16, 1991 and this anniversary is annually celebrated by the Kazakh nation as Independence Day. The anger of the Kazakh nation towards the policy of the Soviet Union started growing after the end of World War II. In December 1986 young ethnic Kazakhs led a mass demonstration against the replacement of the First Secretary of the Communist Party Dinmukhamed Konayev. The demonstration was suppressed by the government of the Kazakh SSR. Late the growing discontent found its expression under Gorbachev's policy of glasnost. The first attempts of Kazakhstan towards its independence were made in 1990, when the country declared its sovereignty as a republic within the Soviet Union. The failed coup attempt in Moscow in August 1991 led to dissolution of the Soviet Union and Kazakhstan finally declared its independence on December 16, 1991. 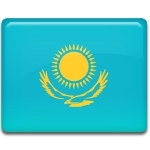 Independence Day is one of the major public holidays in Kazakhstan. Free festive events, fireworks and concerts are organized to celebrate the holiday.